807 Lake Tahoe Blvd South Lake Tahoe CA offered at $529,000Custom built home designed to take advantage of the spectacular mountain views ,built with great attention to detail and energy efficiency (air conditioning) Upstairs living with a great room, kitchen, dining area, master bedroom suite, office and a guest bath with shower. Kitchen features custom knotty alder cabinets, granite counters, skylights, blown glass pendants and access to a spacious deck for BBq's. The master bedroom has his and her granite...Continue Reading! 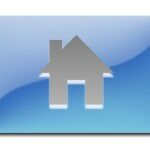 New 3 Bedroom Listing in Meyers! 2660 Wailaki St Meyers CA offered at $362,000Entered for Historical purposesContinue Reading! 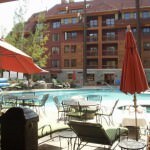 4200 Marriott Grand Residence Club South Lake Tahoe CA offered at $23,900Enjoy 13 weeks (1/4 share- 3rd qtr.) of supreme decadence only 2 blocks to Stateline & Heavenly gondola @ the Marriott Grand Residence complex. Almost fully self contained with all the amenities one could hope for! Make Lake Tahoe your home away from home w/all South Shore has to offer. Subject to first right to purchase by resort.Continue Reading! Price Changed to $1,695,000 in Zephyr Cove! New 4 Bedroom Listing in Zephyr Cove! 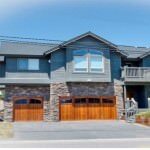 Price Changed to $374,900 in South Lake Tahoe!